In 2009, a deadly salmonella outbreak swept across the nation. 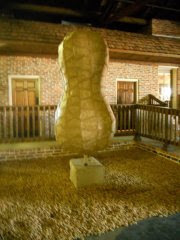 That outbreak was traced back to a peanut plant in my hometown. The plant was subsequently shut down, and all the bad press threatened to dry up our town. 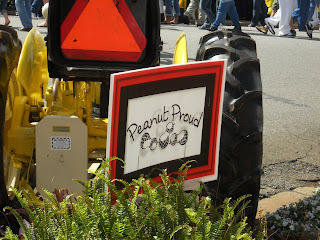 In response, city leaders decided to put on a festival to bring awareness to the greatness of peanuts. 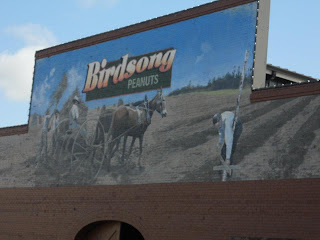 Georgia is, after all, one of the biggest peanut producers in the world. 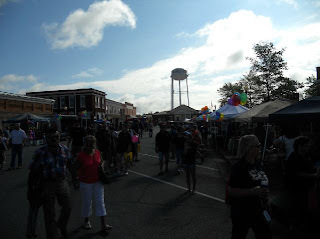 This past weekend was the festival's fourth year. I believe it to have been the biggest and best yet. 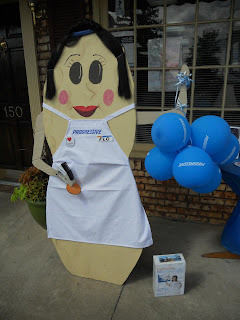 With the help of an area radio station, word of the Peanut Proud festival spread and vendors were excited to get in on the action. In fact, so many vendors applied to be a part of the festival, some had to be turned away. Next year organizers plan to let them overflow from the square onto Main Street. This was the most people I have ever seen in Blakely. 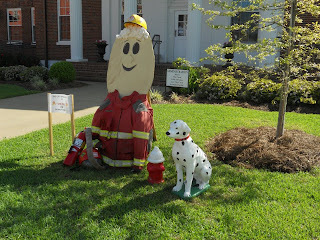 Local businesses participate by decorating peanuts of their own. The firefighter and Flo-nuts were my favorites. Didn't you know? 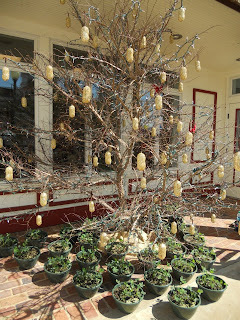 Peanuts grow on trees. 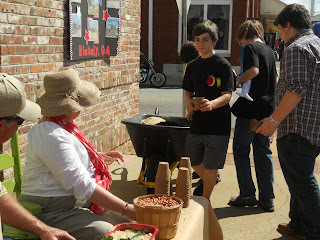 There was a peanut planting station. I would have planted one if I didn't have to drive 45 minutes. Peanuts are a huge part of who we are down here. With that being said, it's impossible not to be Peanut Proud. I eat raw peanuts every day, Ashton. Are boiled peanuts still called Goober peas? Are peanuts still called goobers and pendars? peanut proud! lol that is fab. I didn't know that back story. Definitely cool! I'm not sure why but I adore supporting local things like this and seeing what's happening in everyone else's back yard.